Gauntlet, Contra, and Smash TV are all discussed, which pleases us since we've covered all those for Co-Op Classics in the past in some form. 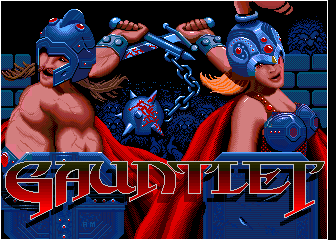 Gauntlet is cited as one of the earliest co-op games, and the lessons learned from that game even effect modern co-op games. The article doesn't follow a strict chronology, instead focusing on innovations like the MMO and voice communication. Hopefully sometime soon, we'll have a more detailed history of co-op gaming here at Co-Optimus (yeah we should have thought of this first). In the meantime, head over to TechRadar and tell us what you think! Page created in 0.3205 seconds.